An engaging, experiential way to create authentic power and spiritual partnership online! 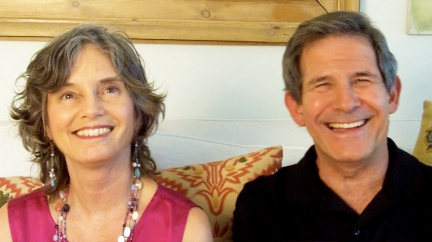 Gary Zukav and Linda Francis have spent their careers helping people like you develop authentic power through books, tools and events from the Seat of the Soul Institute in Ashland, Oregon. Now, in order to meet the global demand for these ideas and practices, Gary and Linda are creating a new online engagement platform to support you in changing your life and taking responsibility for your spiritual growth. And the most exciting new development of all…the offering of a series of online rich media learning adventures, starting with our very first one, Awakening to Spiritual Partnership. The longest journey you will make is from your head to your heart. We are all on this journey. See firsthand the opportunities and benefits of creating authentic power and spiritual partnerships. Learn more about yourself and your choices through stimulating online exercises. Relax into guided meditations led by Gary Zukav that help you access your intuition and creativity. Reflect upon your experiences and write about them in your private SoulLog, which keeps an ongoing record of your spiritual journey. SoulLearning is a new, inspiring, and effective way to accelerate your spiritual growth. Create the deep and substantive relationships that you long for and the fulfilling life that you have always desired! Awakening to Spiritual Partnership will show you the way!